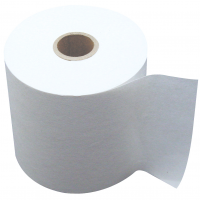 57mm x 30mm Coreless Thermal Paper Rolls. Suitable for Chip & Pin machines. The advantage of a coreless roll is that without the centre core an extra 2 metres of length is added to the paper so it will last longer. The coreless paper rolls are suitable for any machine that takes the standard 57mm x 30mm Thermal roll.